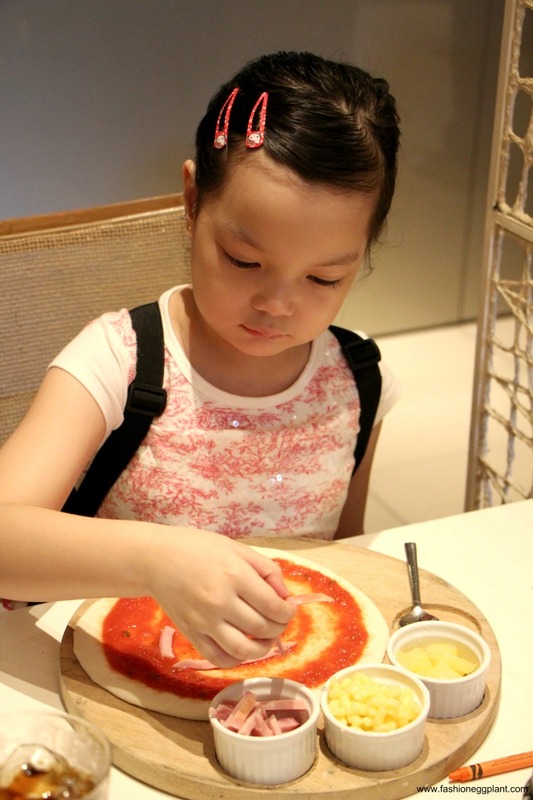 aria cucina's kids menu + make your own pizza! "Aria has always been a family restaurant and with the new Kids Menu, family dining is even more fun because we have something for everyone," shares Juan Elizalde, co-owner of Aria Cucina Italiana. In fact, Aria’s newest, fun and exciting offering is the MYOP (Make Your Own Pizza) for the kids who would like to try their hand in making their very own pizza and see it baked in the woodfire oven right before their eyes. Nikola enjoyed making her own pizza so much and it tasted really good as well. She made me promise to bring her back for more in the near future. Aside from the MYOP - "Make Your Own Pizza", the kids menu also features old favorites that area sure to be a hit with even the pickiest of eaters. Finger food is always a hit among children. Served with french fries, Aria's Fish and Chips, breaded and deep fried fish fingers and Chicken Nuggets, breaded and deep fried chicken tenders, will surely whet their appetites. For the main course, kids will love the Spaghetti Bolognese, a classic Italian spaghetti with meat sauce and Mac and Cheese, macaroni in a creamy cheese sauce, topped with bread crumbs and almonds, and baked in a woodfire oven. 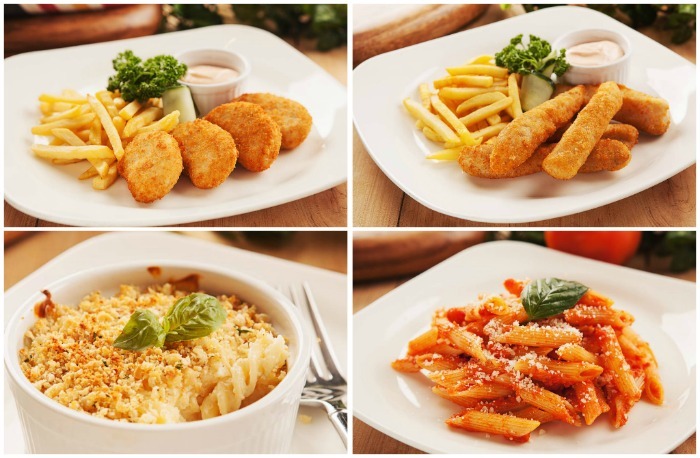 The older kids will also enjoy Penne al telefono, penne pasta topped with tomato sauce and mozzarella. A visit to Aria is never complete without trying the pizza that made the restaurant a beloved destination for fans of authentic Italian cuisine. The Pizza Pepperoni is an explosion of flavors with its pepperoni, tomato sauce, and mozzarella, while the Pollo Bianco, slices of chicken fillet paired with cream sauce and mozzarella cheese, is another must-have for kids and grown-ups alike. Dessert comes in the form of Pizza Nutella, one of Aria's signature woodfire oven-baked pizza topped with a rich hazelnut chocolate nutella. gorgeous pictures- looks like fun.